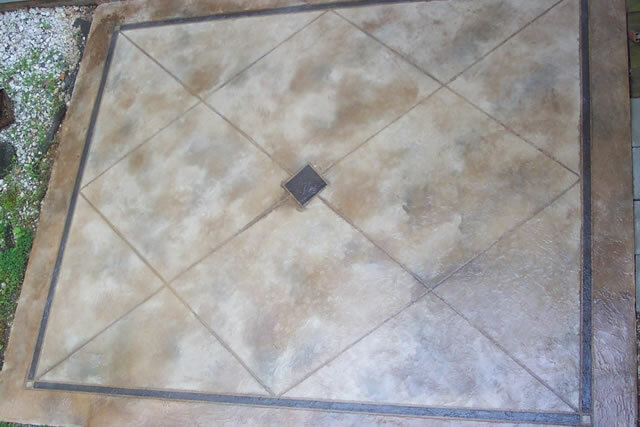 At 4,000 psi, overlays are tough and versatile. Hand made patterns, along with stains and integral colors will deliver any look you can imagine. 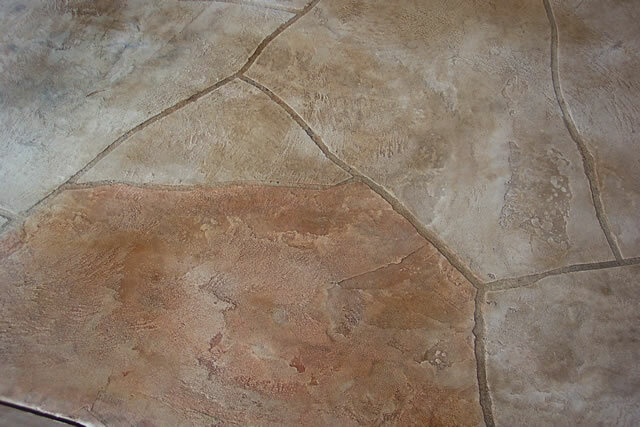 Random stone patterns are individually designed to be proportional to the area and are great for camouflaging cracks. 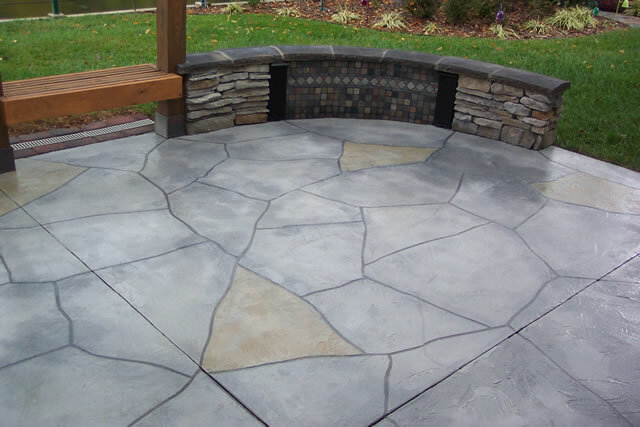 Convert your ugly concrete into a more natural and enjoyable part of your outdoor living space or retail entry. We custom craft every project. You’re not limited to stamps or tile sizes. 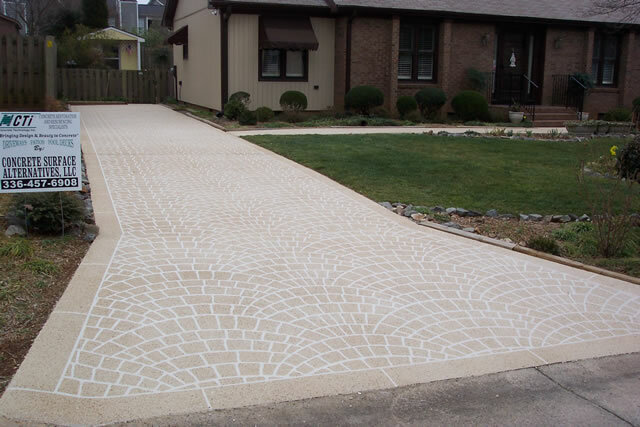 We lay your designs out by hand and trowel texture the overlays. Integral colors and stains allow for contrasting borders and realistic colors. 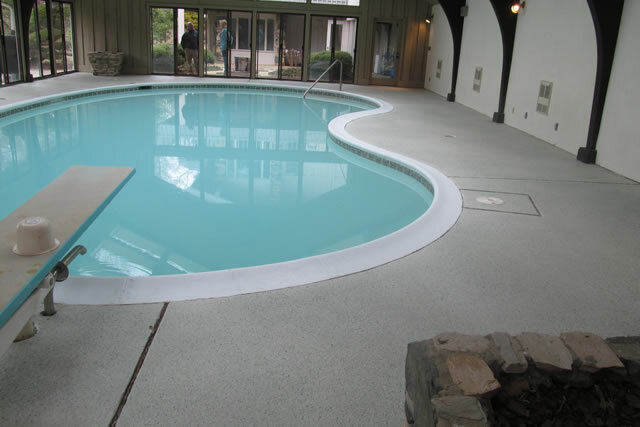 The overlays are topped off with 2 coats of clear sealer to protect and preserve the surface. 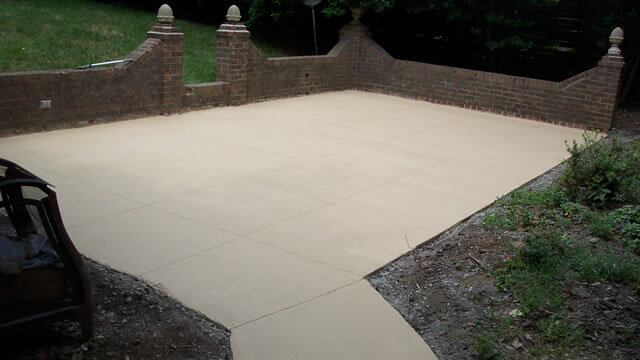 The same overlay material as the trowel texture, but applied differently to give it a stippled look. 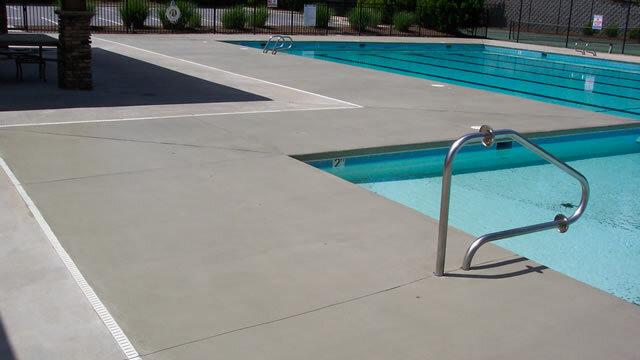 Instead of stains, these overlays use integral colors or colored sealers to achieve your design. 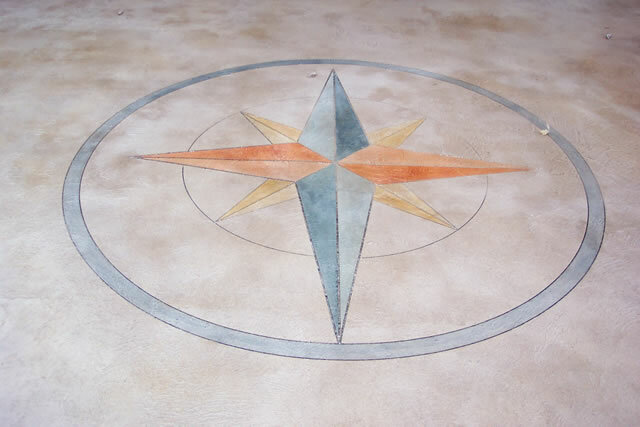 This texture lets you maximize slip resistance and works well with precut stencils. 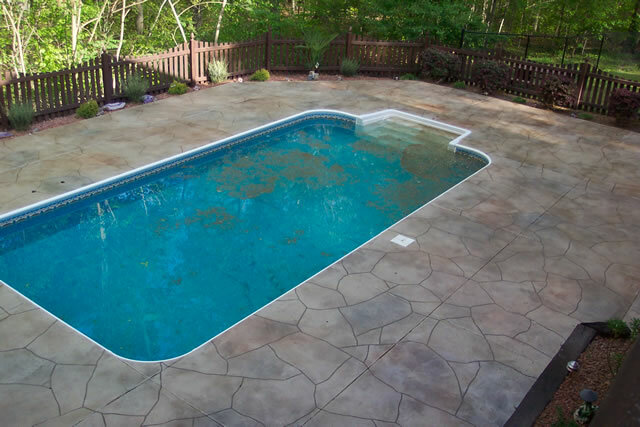 A look that is often seen on large pool decks is a sprayed texture that has been “knocked down” with a trowel and color sealed. 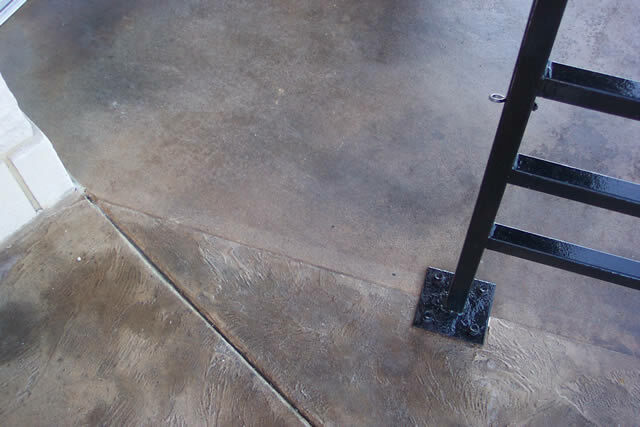 A great fix for salt damaged, spalled or worn concrete is to apply a broom finish overlay. 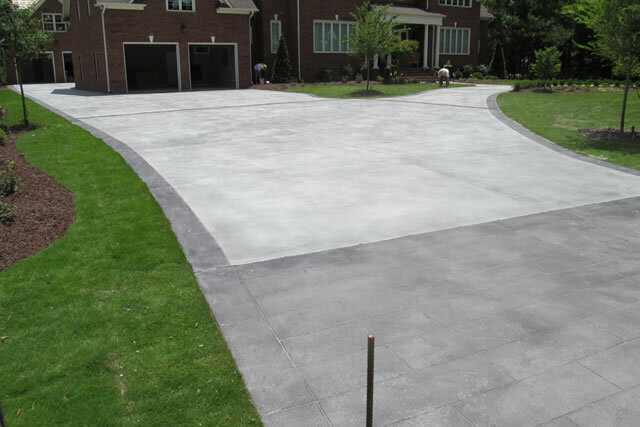 This looks similar to traditional exterior concrete, but can be done in your choice of colors. 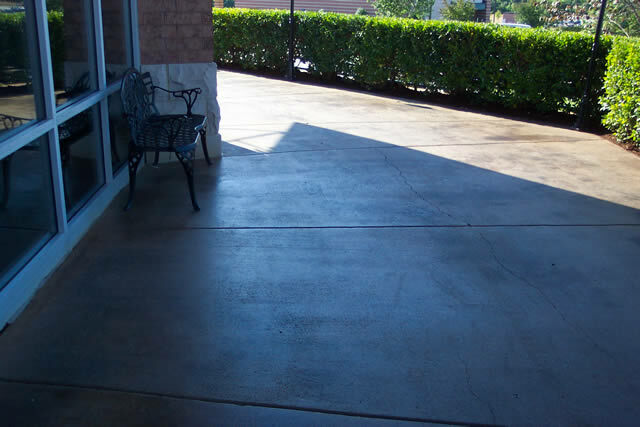 Exterior concrete is a softer surface, so translucent stains will disperse and soak in more so than on a troweled floor or overlay. You will not see as much modulation. 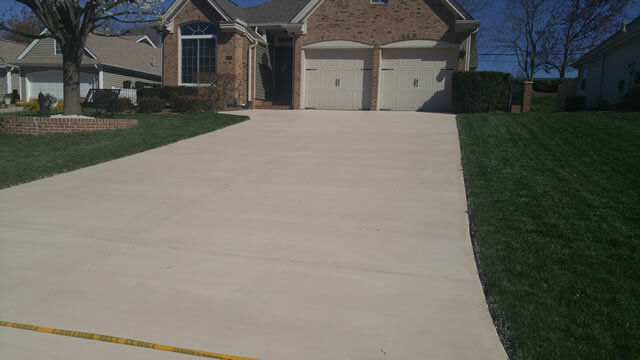 You can opt for an opaque solid stain. 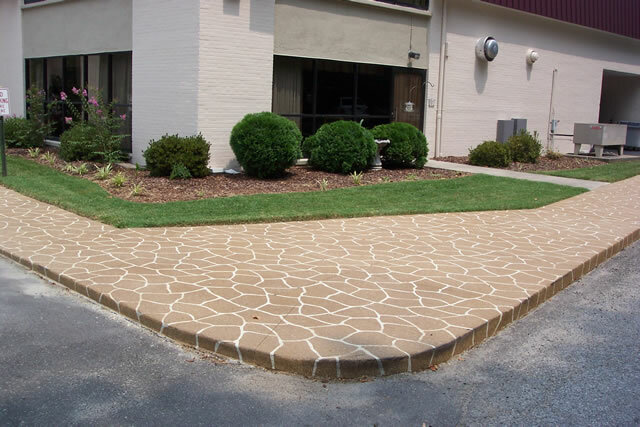 For some areas, you may want to leave some parts untreated or stained and overlay decorative accent areas or borders. 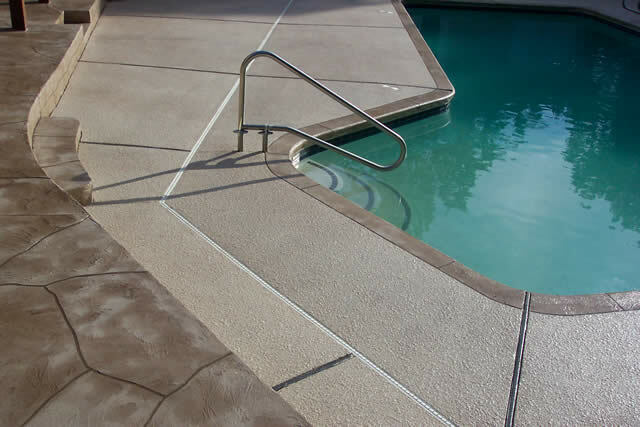 You can also do a sprayed texture on part of an area and a trowel texture on the border or pool coping.